I quite like September 29th. It is Michaelmas and comes hard on the heels of the equinox. Here in the Southern Hemisphere it coincides with Spring and all the renewal that she brings to us. It is my favourite time of the year. Traditionally Michaelmas always arrives and I have a bright idea – this year I thought it was letting me down – but then it arrived bang on time! I have light catcher orders to fulfill. But I’m waiting on ‘parts’ to arrive………. I have knitting and crocheting projects to finish ……….. Oh-oh, no excuse there…..
which is a new experience for me. It should be finished by now! 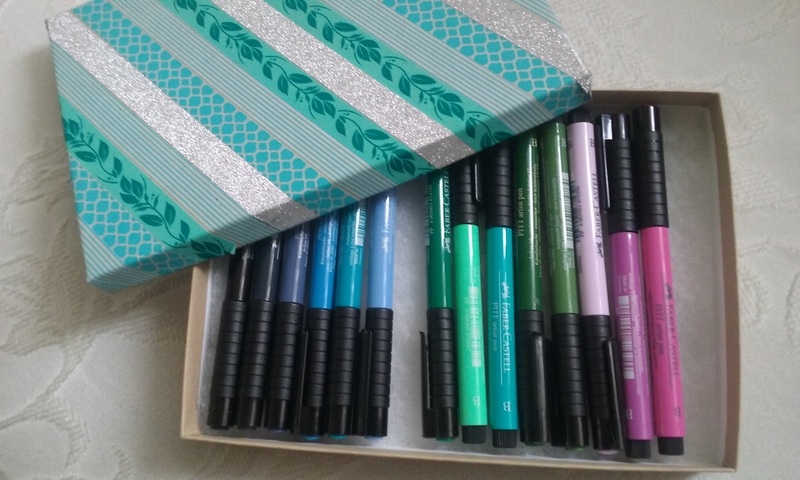 I am blaming my dear friend Alys, who sent me some fabulous Pitt Pens for my birthday – horribly expensive here, I never had more than three or four and used them sparingly and with great afore-thought! And then my daughter who gave me one of those grown up colouring in books …….. 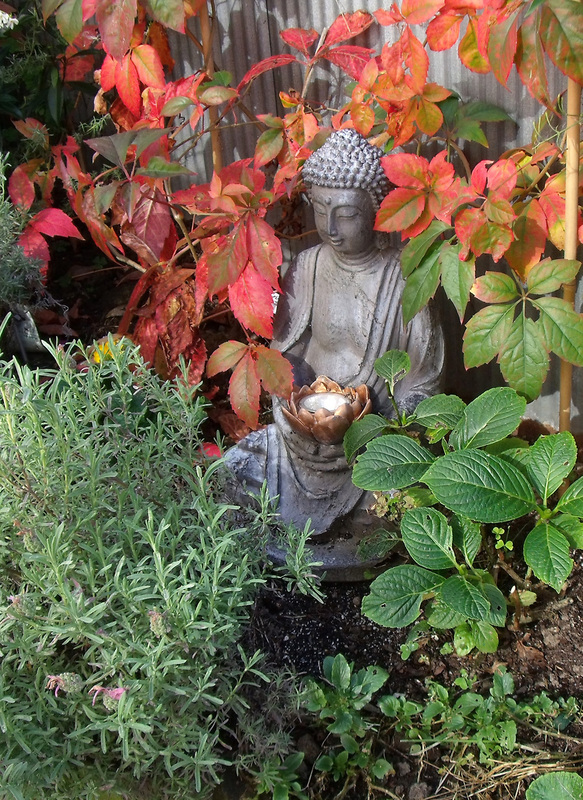 Which has led to hours of happy, meditative idleness…….. This long cold harsh winter has played havoc with my skin – I feel like I’ve added new layers of sag and wrinkles and dryness to my once elastic and pliable skin. [No tittering in the back stalls please!] 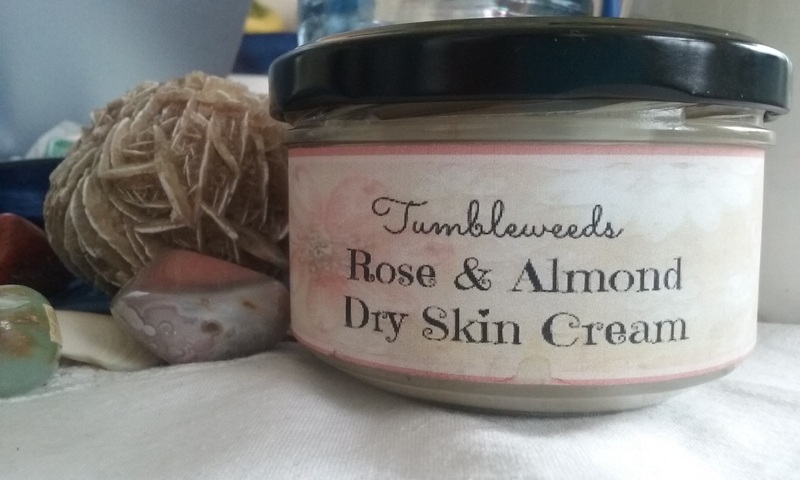 Then I purchased some Rose and Almond Dry Skin Cream from Wendy at Tumble Downs. Fantastic stuff! I could write an advertisement for it, but I won’t. I just thought I’d mention that I got it and love it and no, she isn’t paying, bribing or back-handing me in any way for this mention. A mere glance at my moist and glowing skin would have you convinced – has anyone else tried it? An order for mittens from Lisa for her brother sent me scurrying back to my wool stash. Manly style – no flowers or frills huh? One pair will make it into the shop, the other two have a home to go to. I particularly like the optional button detail. But back to the Michaelmas Inspiration! Michael is the Archangel of ‘doing the good’ – good deeds in the community is the leitmotif for young children – right actions across all spheres of life is the challenge for adults. So as I gathered together the above rambling list of bits and pieces that I have actually been achieving, despite believing I was DOING NOTHING – the bane of any choleric’s life – and I realised it was Michaelmas Eve here and still I had not had my inspirational moment to lead me onwards and upwards!! …. No sooner had I had that thought when…..
…some very good news arrived…..
My door was knocked upon by a real estate agent who had come to tell me my challengingly unsavoury, alcoholic neighbour was selling his flat and leaving the area. And then, hard on the heels of that good news, in the middle of the night, I had a brainwave about my tiny courtyard garden. I’ve decided to go minimal this year. I went maximal last year and the plant life was so prolific there was nowhere left for me to sit and soak up the rays. after I have painted the fence a bright and cheerful colour. I shall take before and after shots for your eddification and possible enjoyment. I have some orders to make up before I get stuck into that project! This entry was posted in Creations From My Craft Room, Daily Life and tagged courtyard garden, crochet, garden plans, Michaelmas Inspirations, procrastrination by thecontentedcrafter. Bookmark the permalink. All that great news, and here you were, thinking you hadn’t been doing much. Isn’t that an example of how hard we can be on ourselves. You have every reason to be impressed with your productive creations and ideas! I really like the men’s gloves, and find the button very tasteful. Glad to hear the unpleasant neighbor is going/gone. I’m also glad you remembered to pamper yourself in the back garden this year. No doubt the days of sitting in the sun will be healing for your soul and will fill up your reserves for the winter season, when it arrives again. The old neighbour has gone and two lovely new ones have moved in – it all happened very quickly and means I am free to move about my property again without a peeper and a pryer and a drunk watching my every move. Such a relief! Ahhh, now that is wonderful news indeed. I meant using up her product, not mine. 🙂 love all your coloring! OH, how children keep us grounded:-)…but we do the same for them–, they know us too well:-) + us them! Your garden is lovely:-) but I do know what you mean about “minimal.” I’ve been preparing mine for next year to be a bit easier for me to take care of and a bit more able to take care of itself. I don’t want to be a slave to it all spring/summer/fall…that leaves winter to create and half the time I am so exhausted from gardening that I am too tired to create-lol I am working on that this next year-balance! Pauline, as I scroll and scroll to reach the bottom of this post, I’m struck by the wonderful gathering of friends. You’ve attracted and inspired so many of us. It’s a joy to see. One of the good things about falling behind is the chance to share in all the comments that follow the original post. I’m delighted to hear that the nasty so-and-so is leaving the area. What fabulous news. I like to think that your good Karma eventually sent him packing. You must feel light as a feather. What fun that you received both coloring pages and pens for your birthday, inviting time to color and relax. I have pens and postcards, but don’t seem to collect them in one place for a good color. This is on my list of “things to do while I recover from surgery” It’s a good one, isn’t it? Yes, yes!! Colouring in as a recuperative therapy will be wonderful – I have had so much fun playing with pens, markers and pencils – the effects you can achieve are so different and all quite mesmerising whilst doing it – I always come out of a session having emptied my head and feeling quite renewed and refreshed! You will have a wonderful time and imagine the cards and envelopes you might make with your results!! The neighbours flat sold within the week – though I have no idea to whom – I am very relieved as you know and counting down the days to his departure. I can take down my curtains and plant the front garden with shrubs and trees…….. and not have to keep poor Orlando away from him any more – happy days!! Despite your comments, it sounds like you have been quite busy! I have been on an extended road trip and so very behind on posting ( that is my excuse!) as well as reading and commenting on posts. We found cooler weather and those adorable hand warmers might have been put to good use in Chicago and Wisconsin but alas- not so much in California. I was thinking of you while we were out and about as I was inspired on a new craft idea and your sun catchers came into mind…. (more on that another time). While you embrace spring I am looking forward to the slower pace of winter. Hugs!!. It sounds like you now have a lot of fodder for posts Jan – a road trip and a craft inspiration!! I shall look forward to seeing and hearing about both. Retirement seems to have bought you and Thommee many opportunities for days out and trips away which is a wonderful way to spend as much time as possible together isn’t it. I seem to be working away at all my projects all day long and still have nothing to show for my labours. The garden is a way bigger job than I imagined and such a small space is challenging to work in when major renovations are going on……. Still I said ‘Christmas’ in my mind when planning it all and hopefully I’m on track! I hope to hear that California receives some rain this fall and that the drought is relieved even somewhat. I love your colouring in! I too have found the meditative pleasure of these books, but now that I’ve seen your beautiful rendition I’m not showing mine lol. Happy news about the bad neighbour, I hope you are blessed with a nice new one 😀. I have just got back from a month (yes a month!) of travelling around Europe. I’m back to work now but hope to write a blog about it… Your garden is so pretty. 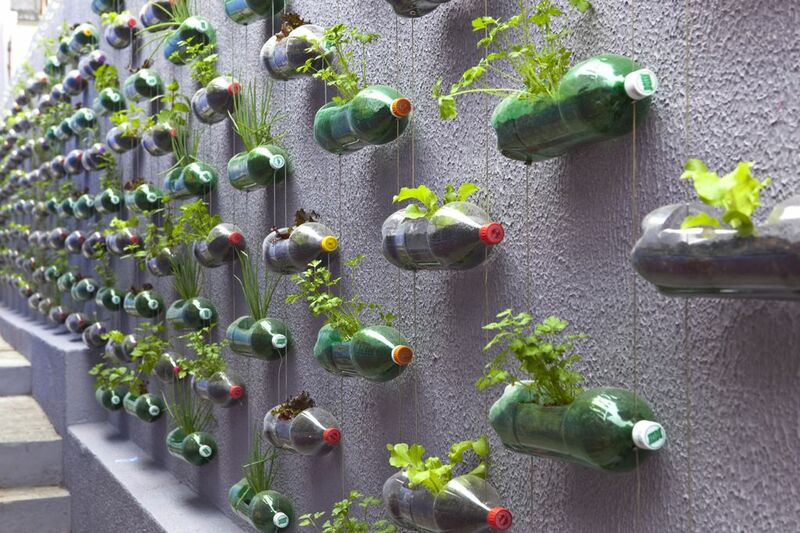 Can you use large drink bottles or milk bottles to put some plants in and hang on your fence? You join them together with string, like a ladder, have you seen it? Good recycling and looks pretty too. Hi Pauline! I’m so late arriving, I hope you’re still receiving! I feel like I just sat down and had a wonderful, catch-up chat with you. I did, however, miss the tea! Spring is just bustin out all over on your side, isn’t it? Tidying up the winter bits, hauling out a taste of the new season. I love to hear your plans, and look forward to seeing the before and afters. I think those photos are always my favorites. I LOVE the manly man gloves. Puccini would surely be delighted. I stopped in at the library to pick up my October book to read and re-cap at the Gallant Woods book club end of the month. I thought with the way we post and keep in touch I would mention that I am waiting this long month until the 30th to go see Mom and stay until November 8th. I always show her Siddy past or present posts. She will enjoy the white footprints on one not too long ago, too from dear Orlando. You don’t look like you have been procrastinating to me!! There is heaps here, you have been way busy. Love the mittens, and the crochet, and the garden and the colouring in!!! What a wonder filled post, Pauline. Such good news about the curmudgeon moving away. The crochet looks like lovely lace. Pink is a hard color to photograph. Your garden is so inviting I can see why you want a small spot for yourself in there. Good luck with all that work. I am fascinated with Michaelmas. Have never heard of it before. Something new to learn here. I’m wishing you a happy spring and lots of coloring fun. Alys has a heart of gold and a way of knowing just the right thing to send. I do love the manly mittens. Great colors for them. Have a wonderful spring and enjoy the garden. Hugs. Hi Marlene, as you hopefully slow down for your indoors time and a slower pace of life, I ramp up and get ready to hurl myself back out there – it’s wonderful isn’t these swings and balances of life!! You are correct about the pink – it is a beautiful soft shade and the top is trimmed with two deepening shades of pink which makes it look so pretty. I was working on it last night and really like the way it is turning out. it’s a Christmas gift, so final show and tell will be a while yet. The colouring seems to have done the trick in getting my creative juices flowing again – and as I want to get stuck into the garden all the indoor jobs are now underway instead of being procrastinated on. Have a lovely autumn!! Hi Pauline, I have to agree with some of the other comments – it sounds like you have been doing everything BUT procrastinating! 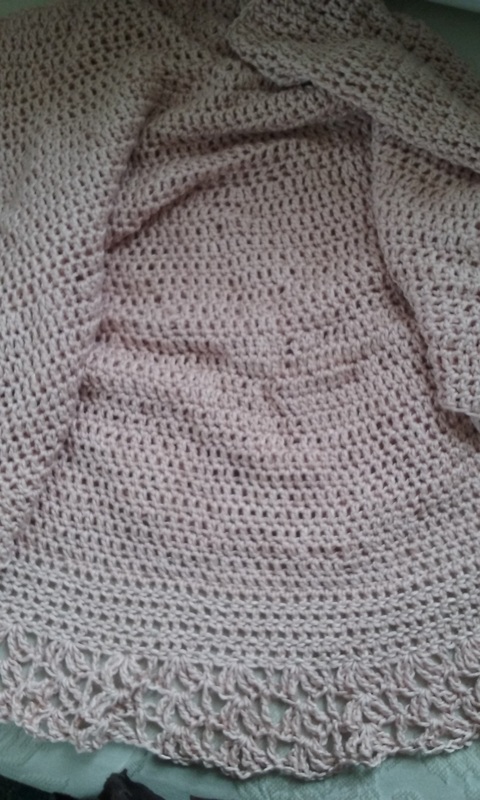 The crochet looks lovely – such a delicate edging, I do hope you will share a final picture once it is done. I love those coloring in books too – I really want to get one but I fear I would never get any work done ever again! Oh believe me – you should hear my daughters laugh when they read folks saying things like ‘You? Procrastinate?’ They roll on the floor clutching their sides believe me I am such a good procrastinator – I have it down to a fine art!! I agree, the button is a lovely addition to a smashing pair of gloves. I don’t really get the whole adult colouring thing, although I guess it’s supposed to be relaxing and therapeutic. I would feel it’s time wasted when I could be enjoying making something productive – like those lovely gloves! I quite agree – I know countless people who totally relax with intricate colouring in patterns. It’s such an accessible way to relax, I suppose. I just wish I could enjoy it too! Hi Pauline – it seems I’m rather later to this particular party – I’ve been doing some procrastinating of my own! How wonderful that you will soon be rid of an unpleasant neighbour. Your little garden is looking good and the pictures of your manly mittens remind me that I’m looking forward to wearing a pair very soon. I’m keeping the other pairs you sent as Christmas presents. I clicked through to the Tumbledowns page – their stock looks really enticing, I must say. Have you done a before and after pic for your skin care regime? ! My husband bought me one of those adult coloring books, and it keeps me from doing things I should. It is a very pleasant pastime. If it weren’t for pain in my hands, I’d never get anything done. Of couse, I don’t have as many things going on as you. Oooh, I do like the way the button looks. If Scott goes all plain on me, I’ll take them for myself!!! You have been very busy, just not blogging. Goodness, I love your garden plans, and it’s so wonderful that your bad neighbor is leaving!!! I had one of those (kept thinking she would burn the building down) and was so relieved when she moved to South America. I hope your spring continues apace and that your plantings flourish and you sustain those of us in the north with them throughout your warm season (and our cold). 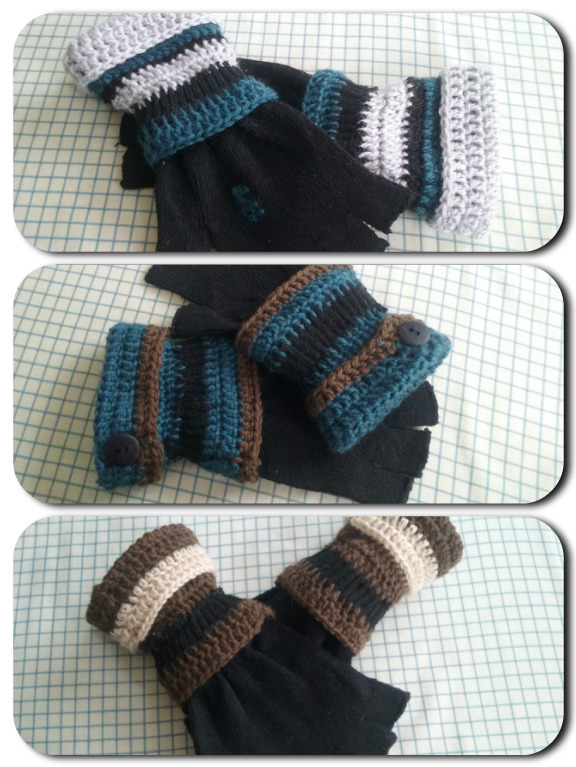 I’m very excited about the gloves and glad to see them on the blog all together. I love the button and both my male readers have also said they like it – so there we go – Scott just has to love them too!! Do not fret – in lieu of a fairy godmother who sends you to the ball, there shall be a new buttoned pair for you too my dear 🙂 There is a lot of relief here that my problem neighbour is moving on – it seems unkind to say something on a public forum like this – but really I am just so relieved!! I know that relief and the guilt of feeling that way about someone. Sorry to hear you had such an unpleasant neighbor. ugh. Sounds as though summer in the garden will be much more pleasant this year! That was fun!–saw the link on Derrick’s blog. I am not at all craftsy. I do love to draw and color and paint, thugh. You have many talents and what fun you have! I must find a way to try that cream. I am older by the day and in dire need. 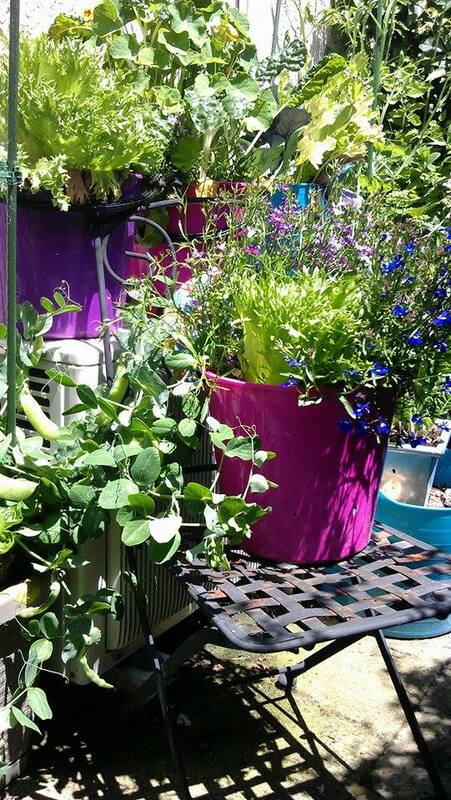 I will be utilising the concepts of wicked containers that you gave me and the vertical growing also – I’m sure it will be wonderful only wish I had thought of it sooner! I keep hearing rumours of hot and recently Orlando has been shedding his massive winter fur coat so maybe it is true – I may have to think about shading my courtyard!! What a lovely post! I love all of your creations, the gloves, the pretty in pink! And wow the creative coloring, I hear it is calming and fun. you are quite the artist in every way! the garden is lovely and again as creative as you are! I am so glad to see this post and to read all about you! Hi Lynn, this is the comment that got put in my spam folder. Heavens knows why! Maybe I should check the thing regularly. The colouring IS both calming and fun. I think it is a lovely way to destress and chill out at the end of the day – or anytime really 🙂 I haven’t been able to paint much this year so this is a kind of therapy for me. I haven’t seen anything from you for a few days now I think – hope you are okay and just busy with life. Then there are those Rudolfo’s hand warmers…they’re wonderful! I knitted some open-fingered mitts a few years ago and discovered that the constantly “texting” generation loved them so much better than closed-fingered gloves. I’m also a big fan of coloring books for adults. They have the virtue of “doing something” even as you sit still and quiet your mind. I like the repetitive detail in those abstract shapes, but even the children’s ones are fun because you can take the simple contour drawings and play with shading and layering of colors for more sophistication and add all sorts of detail. The Pitt pens are great. There’s also a whole new world of colored pencils out there. Your minimal garden sounds lovely…less as more. There’s a whole world of container gardening to explore, I’ve discovered, now that I can no longer bend and squat…or even hardly stand and walk. I look forward to being edified by your project! Thanks for a thoroughly interesting post! I love the name you gave your hound ‘Amazing Grace’ ❤ And woodland filled with Michaelmas daisies – that's another ❤ I've never seen such a sight. I've seen bluebell woods in the UK and forget-me-not fields here, but never Michaelmas daisy woods. I'm going to go hunting for some plants – though I don't believe I have ever seen them in the garden centres. I'm excited about my project – it has stopped all forms of procrastination as I must get everything else finished in order to throw myself into achieving this new revamped tiny courtyard before Christmas!! I’m drooling over those pens!!!!!!!!!!!!!!!!! I should write a post about how wonderful Orlando and Siddy have been Jill – they are such good friends now and a lot of fun to have around. If Siddy sat on your knee I fear we would be unable to see you any more. I hope to sit in my revamped courtyard and read your book by the end of summer! Pauline! You could’ve gotten about 10 blog posts out of this one! What a lot you have going on and you sound so happy and full of life! I like the idea of the manly gloves and think you have a great look for them. Your coloring, the pens from Alys, the plan for the garden–it all sounds great. Spring becomes you! Thank you Kerry – it is definitely my favourite season – I can feel the life and the hope stirring and rising again. Perhaps I should have been a tree? You were quite busy Pauline. So many things have been achieved and thought of. The pink crochet piece you have is a delight to see. Your work reminded me of my Grandma who used to crochet colorful shawls for me and my cousins when we were younger. She taught me how to crochet too but I can only do simple designs for pillow cases. I am on the hunt for a crochet shawl in psychedelic colors. Those pens are to die for. It is also expensive here and I only get what I need, mostly in black. Those mittens are wonderful too. I hope the person who receives them will appreciate the labor of love put into it. 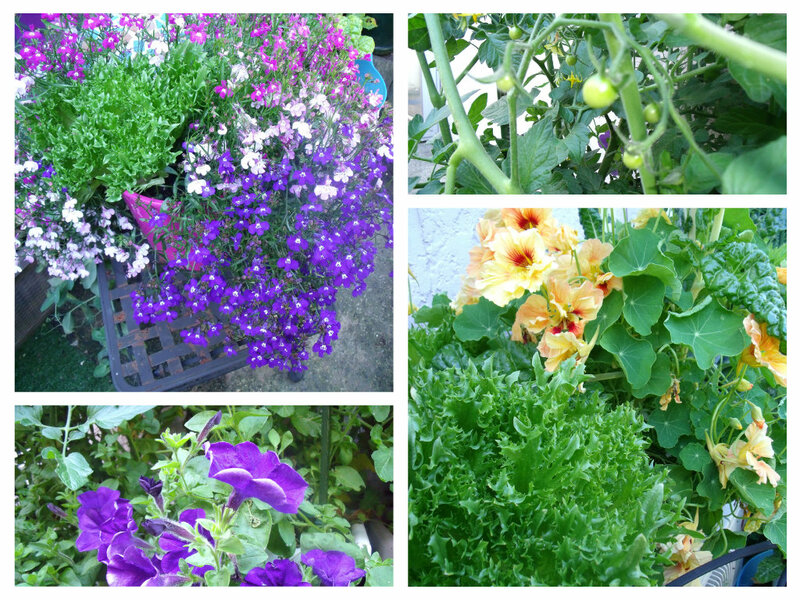 Your garden looks amazing and colorful. It would be wonderful to sit there for your morning dose of sun. I live in a building so no garden within the premises unless I go down the complex. Will look forward to the new garden arrangement. Thank you for your kind comments, it is such a pleasure to see you come by here! Thank you for the site Pauline. My eyes had a feast looking at those colorful and intricately designed cloaks, ponchos, shawls and other stuff. Oh how I wish I could learn how to knit. I do not have the patience for now. Maybe someday. It is wonderful to read from you and know you more. I am at awe how the internet made it easy for people to connect. It looks as if, with this full post, you are responding to spring. I like the buttons on the cuffs. Your garden has reminded me of one from my past, which I will feature on today’s post. I shall look forward to reading that post Derrick – thanks for the feedback about the mittens. It was a great story Derrick and already a couple of your loyal readers have wandered over too – how nice is that! I love your colouring in! And Alys’ gift as well. In fact everything in your post is lovable, including your idea for a minimal garden. Can’t wait to see what colour you choose for the fence. 🙂 Decluttering as I am, I am very into minimal! I’m already having conversations with myself about the colour – I hate to be predictable 🙂 How’s the decluttering going? Slowly is better than not at all! I’ll be back tomorrow for a real reply. Meanwhile, love you to pieces. Do you like the mittens Bruce? That has made me happy to hear! You are right – I shall find a Michaelmas Daisy or two forthwith if not sooner and they shall have pride of place – plus I love daisies so why don’t I have any? You know, you could have a colouring in book right now, ready to while away soft Summer evenings sitting in your deck chair gazing at the far off Tararuas and listening to the idle chatter of your companions – or the birds …… fabulous!! Lovely post 🙂 envious of those Pitt pens! 🙂 Only those of us who know how many arms and legs they would have cost me had I had to purchase them here, can say that. I’m still a little scared to use them too much in case they run dry – then what? I love the crochet, my grandmother used to do it, but it has always seem complicated to me. I love the coloring also, I have been trying to find time to do some “painting” with some YouTube videos that I found for the artistically challenged. The garden is gorgeous, I love a lot of plants, but I have mostly trees and can’t seem to find plants that work. It looks like a beautiful season coming up for you, enjoy! Hi L.T. thanks so much for coming by! 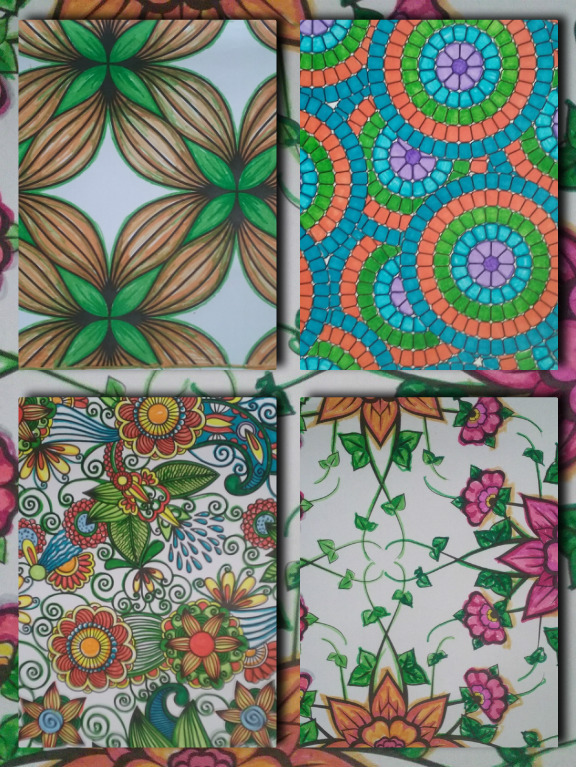 I really like this latest fad of adult colouring in – any one can do it, it is satisfying, can be meditative and calming and is way better than sitting watching TV for hours on end……. I tend to think things are only impossible or complicated when you don’t know the process and therefore can’t practise the steps. I also believe everyone can paint – again you just have to be shown and then follow a process to see what can happen and then practise. Mostly it depends on whether you develop a feeling for it or not – just as with writing 🙂 Now and again an especially gifted person comes along and a Shakespeare or a Michelangelo leaves their works to astound and spellbind us for centuries – the rest of us just do what we do and gain enormous personal satisfaction from it – as well as amuse, delight or entertain a few contemporaries. 🙂 I say go for it and surprise yourself, you are less challenged than you think! I have no trees where I am, even one would be lovely I often think. But I can walk a couple of minutes to the park and be surrounded, so it isn’t that bad….. I agree..I used to think people that could draw and paint were all talented and now I see some of it is skill. I do whine a bit because my yard is so shady but the trees are such a blessing here as shade from the hot sun 🙂 The moisturizer cream also looks divine! I do hope you will go ahead with learning the skill and practising – I’m sure you will love it. The cream IS divine …. really and truly I think Wendy has found her creative niche!! I am going to do just that 🙂 I’m very excited about it….art is good for the soul or so I believe.